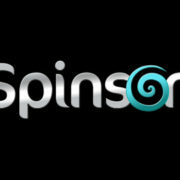 Go Spinning Crazy with Spinson! You really can’t fault the EveryMatrix NV group for its dedication to owning and operating online casinos. 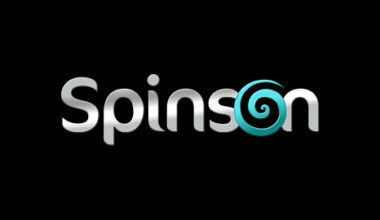 It is the proud owner of several different platforms, with Spinson being one more in the pack. That’s not to say that the casino is just a replica of all the others, because this is simply not true. 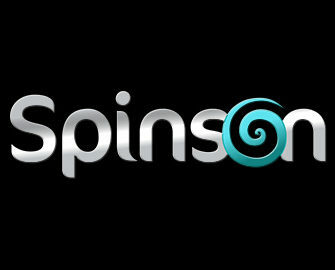 Spinson has actually been online since the year of 2012 and presents a fresh and modern design. It is the holder of three separate gambling licences as well. The first of these comes from the Malta Gaming Authority, while the second is from Curaçao eGaming. Finally, it holds a third from the United Kingdom Gambling Commission. This means that it fully adheres to all of the fair gaming and regulatory rules. The range of games are accessible by instant play mode on a desktop computer. Alternatively, you have the chance to play via a mobile device. The homepage of the Spinson platform presents a very visually appealing design. Its logo can be seen in the top left hand corner. It is underneath this that you can find the advertisement for the welcome package and the latest winners. To the right hand side of this is a scrolling banner, offering up some of the various games. Meanwhile, the game lobby can be seen below this, with its own navigation menu. There’s also a search bar for you to seek out a specific game. Furthermore, a selection of progressive jackpots are on display at the very bottom. Deposit €300 or more and receive 999 freepins. Any of these freespin offers are for use on one of the following games: Starburst, Neon Staxx, Twin Spin, Gonzo’s Quest or Wonky Wabbits. You’ll also start earning cash points as soon as you begin playing at the casino. Loyal players will receive points every time they place a wager on a game. Every 100 points that you earn will equate to €1 in total. There’s also a promotions calendar which allows you to see the various different special offers that are available. These include further freespins to start with as well as bonuses and cashback on deposits. There’s a nice choice of software on offer at Spinson. It’s these software companies that provide the site with its games. The first of them is Netent. Joining this provider is Microgaming, Play’n Go and, finally, Nyx Interactive. With this being the case, there are several different games available to you. It’s the ‘Video Slots’ section that features the most games. In fact, there are over 610 in this section. Therefore, you’ll be able to easily access titles like Gemix, Grim Muerto, Immortal Romance, Piggy Riches and Titans of the Sun – Hyperion. There’s also a good choice of progressive jackpots on offer too. These includes the popular titles of The Dark Knight, Super Lucky Frog and Icy Wonders. If you’re more of a fan of classic slots though, you can easily access a decent choice of these too. In fact, it provides one of the largest ranges of these, standing at over 45 in total. Table games are also available at Spinson. This being the case, you can play games like Atlantic City Blackjack Gold, American Roulette and Oasis Poker Pro. A few different video poker options are also available at the site, such as Jacks or Better Double Up. You can also access a small choice of scratch cards as well. The ability to play games and claim promotions is only available once you have made a deposit. In order to complete this process you can take advantage of a few different payment methods. These exist in the form of Visa and MasterCard credit and debit cards. 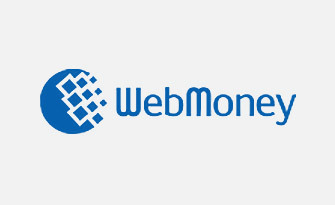 In addition, a couple of eWallets are available to use in NETeller and Skrill. Finally, the prepaid vouchers available from Paysafecard are usable, as are deposits via Trustly. In order to complete a withdrawal you can use any of these methods, with the exception of the Paysafecard. If you require any assistance while gaming at the Spinson site, there are a couple of options available to you. The first of these is the FAQ section. There, you can read through answers to some of the frequently asked queries. However, if this isn’t able to give you the help that you need, you can send an email to the support team. In order to do this, you need to use the email address [email protected]. It’s great when you find an online platform that catches your eye instantly. Spinson does this for us. However, it has many underlying features to enable an entertaining time is had by all there. Furthermore, the welcome promotion is also an appealing addition to the casino.